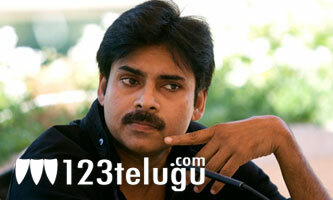 Power Star Pawan Kalyan’s upcoming masala entertainer ‘Gabbar Singh’ is currently being shot at a rapid pace. The movie is an official remake of the super hit Bollywood film ‘Dabbang’. Sources in the industry have said that many significant changes have been made in the script to suit Pawan Kalyan’s image as well as bring more Telugu nativity into the script. Pawan Kalyan is returning to a full length commercial entertainment characterization and this should bring cheer to his many fans. Bandla Ganesh Babu is the producer and Harish Shankar is the director of this flick. The movie recently completed a schedule in Pollachi and a new schedule will start soon in Hyderabad. Shruti Haasan is the female lead in this project while Suhasini is acting as Pawan’s mother. Devi Sri Prasad is scoring the music.